They're not traditional companions, but Dino Tim Math Learning has a dinosaur helping out a team of witches. 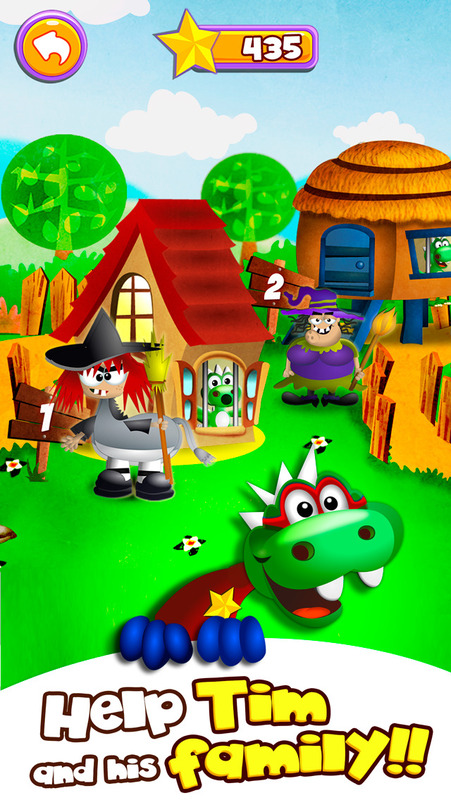 In turn, the dinosaur, Tim, needs the help of the player throughout a series of activities that helps promote basic maths skills in young children. The app is very well presented for the age of its targetted children. Written instructions would be of little use and so it communicates how to use it in an effective non-verbal way that young children will be easily able to understand. 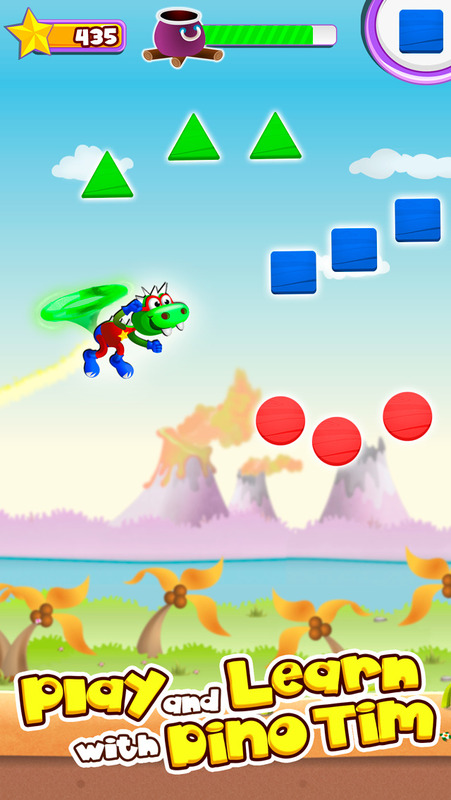 The story is built up of a number of levels that can be played in any order and offer different levels of challenge. Dino Tim, his environment and friends are all presented in a very child-friendly and attractive way. Animations and graphical effects bring the app to life and are complementary to the app rather than distracting, as is the case in some other early learning apps. Good-quality sound effects and a tune play alongside the activity but can be muted when necessary. 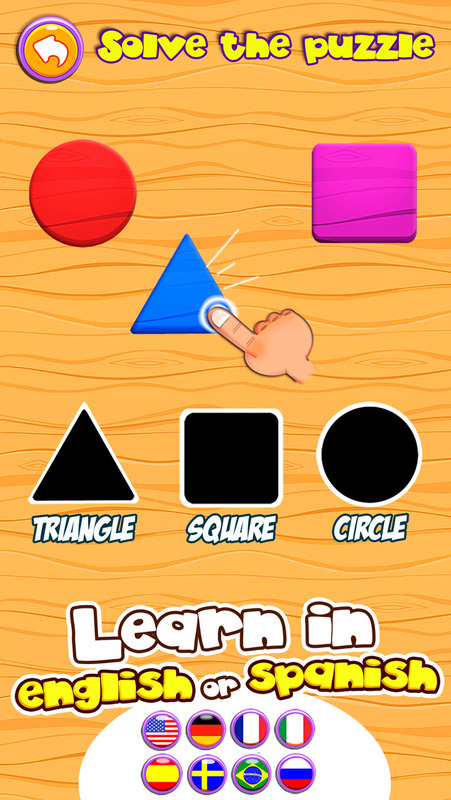 Each task for Dino Tim starts with a learning challenge based around shape or number recognition. 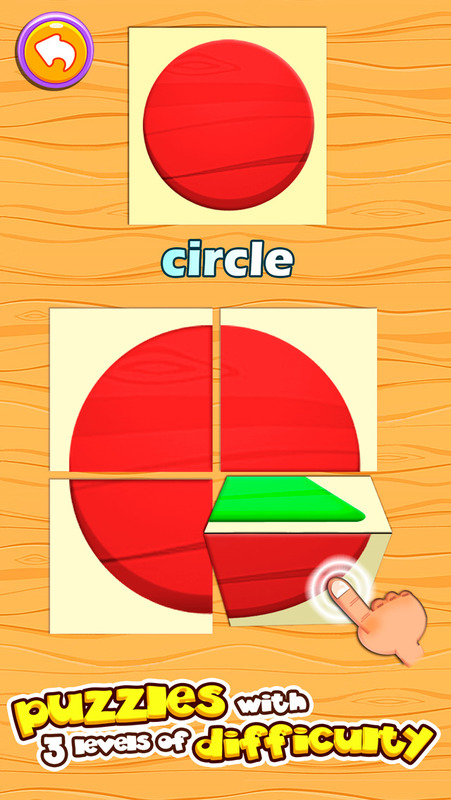 The player is asked to build or match shapes with their outlines or link numbers to a pictorial representation of them. You'll recognise the structure from other apps but it is done very well here. This is then followed by a game where the player flies Tim through a level collecting the appropriate shape. As well as developing early maths knowledge, the control of Tim should exercise coordination skills too. Children will certainly find this longer-lasting level fun as it is well-made and very attractive. Children need to aim for the indicated shape and avoid hazards. It is forgiving of children's mistakes, as is appropriate for such an app, but perhaps just a little too forgiving as it would be nice to see a mistake highlighted more, although not punished more. 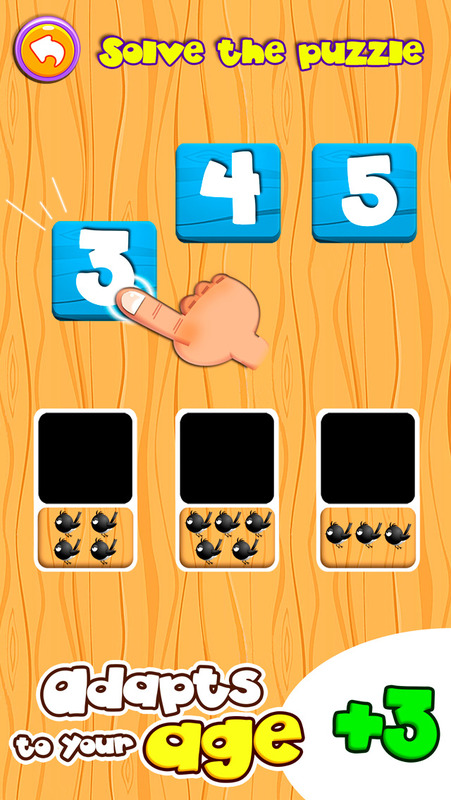 The app has options to be presented in a number of different languages with shapes and numbers having their names displayed on the screen. This builds familiarity with the written word. Full marks have to be given for the number of languages available, which could also give the app some mileage in introducing new languages. If some of the shape and number words were also spoken in these languages it would add a new level to the app's educational value. Dino Tim's app is certainly one of the better ones aimed at young children. It has a coherent design and certainly has the fun factor that is important for children. With a few tweaks it could raise this further, but at the moment, it is still an app that will provide constructive entertainment for children. A perfect option to see what you think exists in the form of a free version of the app that can also be downloaded. The game is entirely translated into English but, if you wish so, you can also use Tim the Dino to learn Spanish, French, Italian... You only need to switch languages!